The happiness you get when your hard work pays off is immense and surrounds you with positive energy. 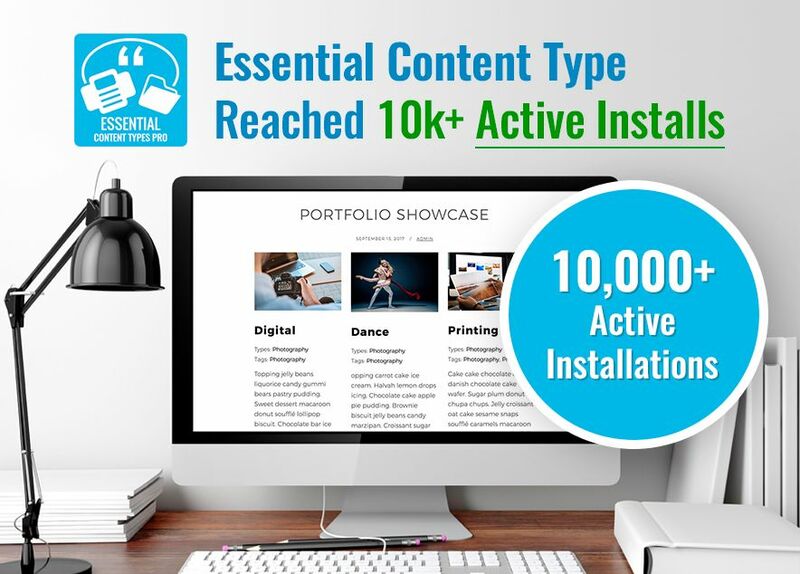 Likewise, we’re extremely overjoyed to announce that our Essential Content Types plugin has just reached a new milestone and has reached 10,000+ Active Installations on WordPress.org. Read the full article on this new milestone here. You can learn more about the Essential Content Types plugin in detail by visiting our Catch Plugins website. Previous Previous post: We Are Celebrating Our 6th Anniversary!